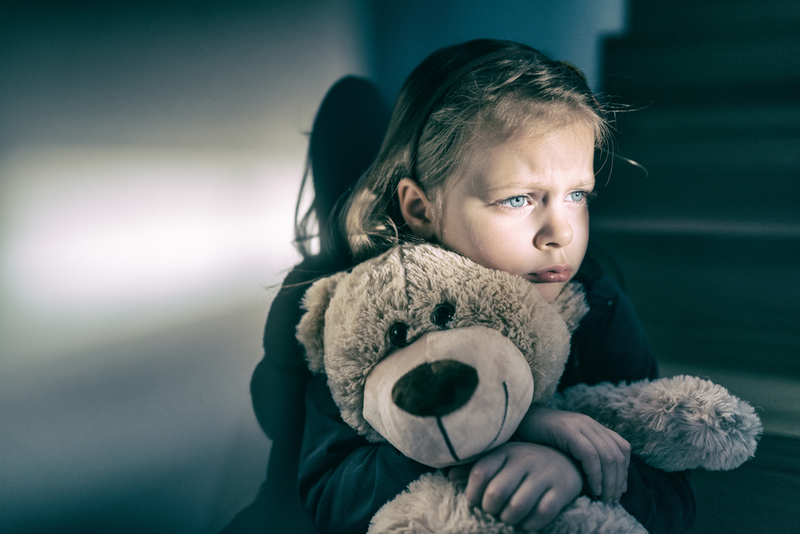 It doesn’t surprise many people that the majority of adolescents and teens that end up with mental illnesses and emotional disorders often come from a child growing up in tumultuous, traumatic environment. In many instances, these “troubled teens” have endured severe neglect and even abuse caused by the increasing statistics of drug or alcohol addicted parents. In fact, the numbers are rising across the board, with almost half of all teens between the ages of 12-18 admitting to drinking heavily in the past year, according to the Substance Abuse and Mental Health Services Administration (SAMHSA). Many of these children mimic their parents’ behavior since it is all that they know, while often times other siblings from the same family will go in the complete opposite direction, staying ‘straight-edge’. Depending on your situation, you may love Child Protective Services, or you may run when you hear their name. Regardless, remember these are people who simply care about the well-being of your teen or child and want to ensure their safety and success. It is a job that takes a certain type of person to handle, typically underpays, and it’s stories never leave your thoughts. Below is the entire uncut interview. This woman who wishes to remain nameless oversees many Child Protective Services offices in West Virginia, and has been in the field for almost thirty years. While she cannot go into detail due to privacy laws, she agreed to shed some light on what goes on behind closed doors. Court advocacy for abused and neglected children in civil CPS cases in 6 counties in WV. In your city and line of work, have you noticed an increase in drug-addicted parents? If it applies to your on-the-job experience, have you seen an increase in babies being born physically dependent to drugs? Yes. We now have a program in Huntington for these babies. Lilly’s Place is a neonatal abstinence syndrome center and provides medical care for infants as they withdraw from substances used by their mothers prenatally. They also offer support and services to the parents to try to keep the family together. Out of all the incidents you become involved with, what percentage would you estimate are drug-related? In your opinion, how accessible is drug or alcohol treatment for those who need it where you live? The problem of drug and alcohol addiction is so prevalent in West Virginia, there is usually a long wait time for a bed in a 28-day treatment facility. In one county, one judge regularly orders the Department of Health and Human Resources (DHHR-CPS is part of this agency) to pay for treatment for the first 28 days in an out-of-state facility due to immediate availability. Parents are usually picked up by this facility within a day or two once payment is ordered. It is sometimes the same day. In your opinion, how would you rate the quality of treatment in West Virginia? I think we have good treatment options in this state when there are available beds. We seem to have more success with family reunification when we can get the parents into inpatient treatment quickly. Despite your personal beliefs, would you say residents of Huntington and surrounding areas are generally in favor of or opposed to harm-reduction initiatives like Medication Assisted Therapy? [We have some] programs currently in Huntington and Charleston and they have their supporters. The most vocal are those in recovery themselves, those who work with families who have substance abuse addictions, or who were affected by addiction of family members or loved ones. Many other people do not agree with providing help for these programs for drug addicts when diabetics and others with medical needs do not have the same access. Their focus is usually on this “free” way for addicts to continue their addiction. Due to this, harm reduction programs are generally seen as just another way for addicts to avoid taking responsibility for their drug use. Do people in your community think of addiction as more of a moral dilemma or a health crisis? Are more people in favor of criminalization or treatment? Addiction in this area is believed by many to be a choice of the addict and not a disease. I think the majority think of addiction as a moral dilemma and support incarceration for addicts. It is very common to have a local news stories report on overdoses in bathrooms, cars, stores, etc. People might be getting desensitized to these tragedies and want jail time, especially if the individual had been given Narcan recently or multiple times, or if children were present are included in the news stories. How Do We Stop the Cycle of Mental Illness? While there is no magic cure for many types of mental illness, there are so many disorders of the brain that can easily be managed with different types of therapy. The first step in moving forward is acknowledging, as a society, that we have a serious problem that borders on an epidemic when it comes to mental health and substance abuse. We then need to break the stigma that comes along with it, which often leads to people not getting that they desperately need. If you’re seeking help for yourself or a loved one, call Adolescent Growth now at 1-888-948-9998 to speak with a specialist when it comes to teens and children.